Q: What is a peer reviewed article? Peer Review describes the process that an article goes through before it can be published in a scholarly/academic journal. Peer reviewed articles are often called Academic, Scholarly, or Refereed. Editors are experts with specialist degrees in the particular area. Social Science Quarterly: Accepts about 15% of submissions. Popular articles are another type of article. Unlike scholarly articles, popular articles typically are not written or reviewed by experts. They are written by professional writers or journalists, for a general audience. They are usually published in magazines or newspapers. 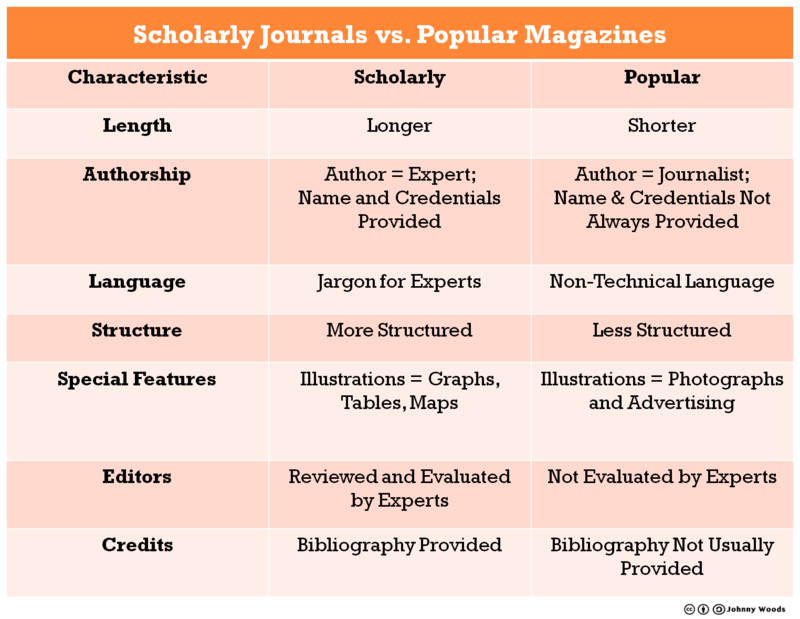 Here's a chart that can help you determine if an article is peer-reviewed/scholarly or if it is a popular article. Check out our guide to peer reviewed articles for more details! This can also be found on the library homepage under the Research Guides tab.